It’s been an eventful fortnight down by the pond, and not all of the news is good. 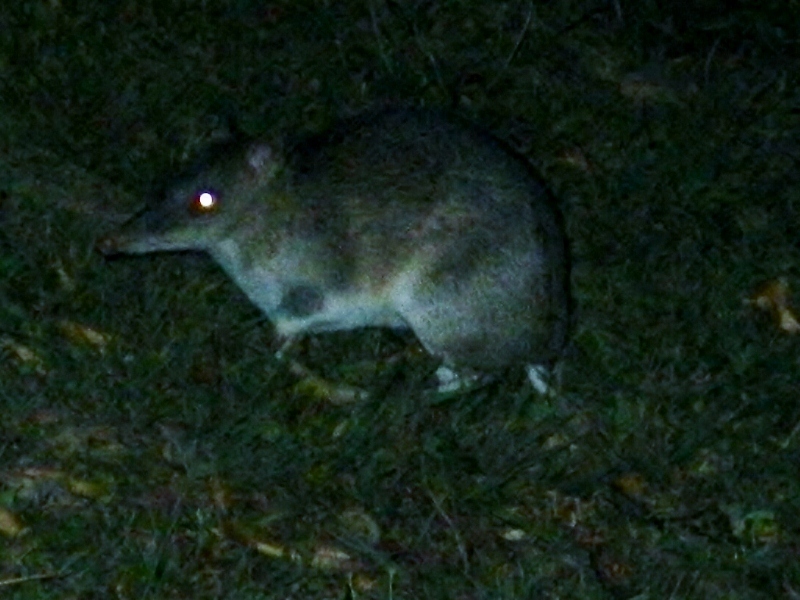 First there was the bandicoot problem. You’ve heard of bandicoots? Well they are not sweet little nocturnal creatures that snuffle and squeak and play in the garden at night, they are rotten little bastards that sneak in under cover of darkness, dig holes in your landscaping, pull out plants and throw mulch everywhere. 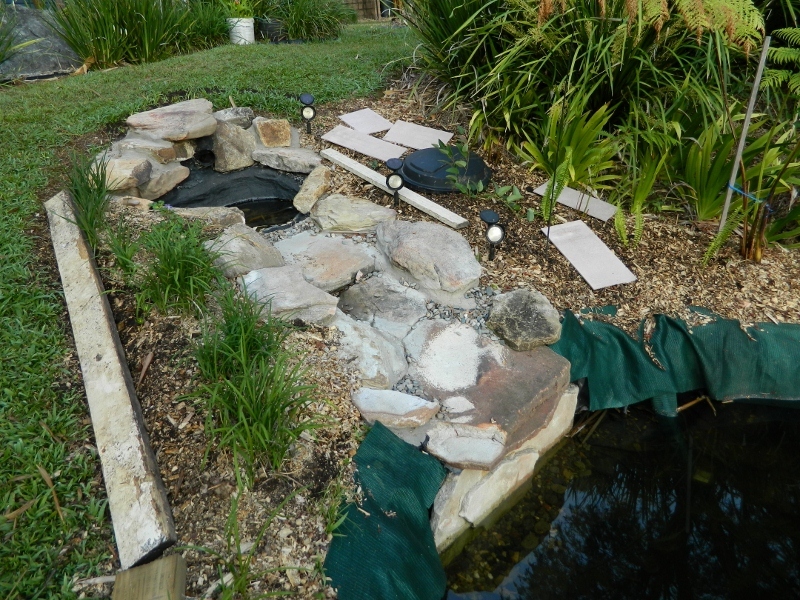 I’ve had to erect a “bandicoot barrier” which is not exactly the look I was after. 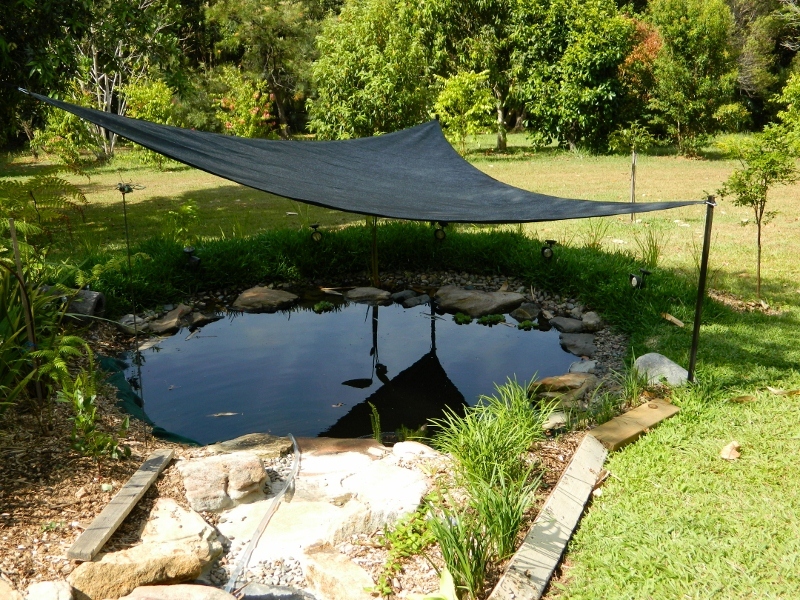 Then there was the algal growth caused by sunlight … I’ve had to install a shade sail to cover the pond until the tree-ferns grow big enough to take over. Again, not exactly the look I was after. Then there was the death (my fault) of twelve goldfish! 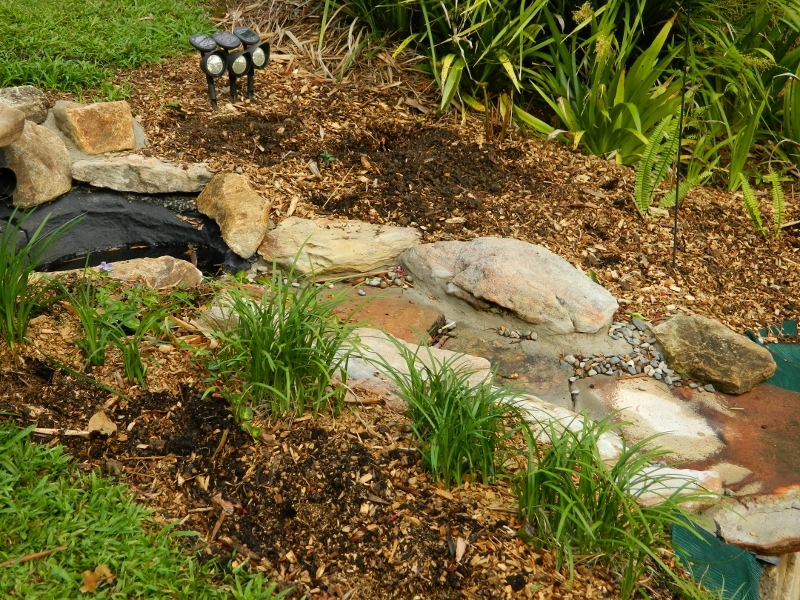 I was enthusiastically watering the surrounds of the pond with tapwater, and it seems that goldfish are more fragile than you would think and die at the mere whiff of chlorine. Strangely, three goldfish have survived, although they may still die of cardiac arrest as the result of my tame kookaburra taking regular “dive-bomb” baths, causing panic and minor tidal waves. 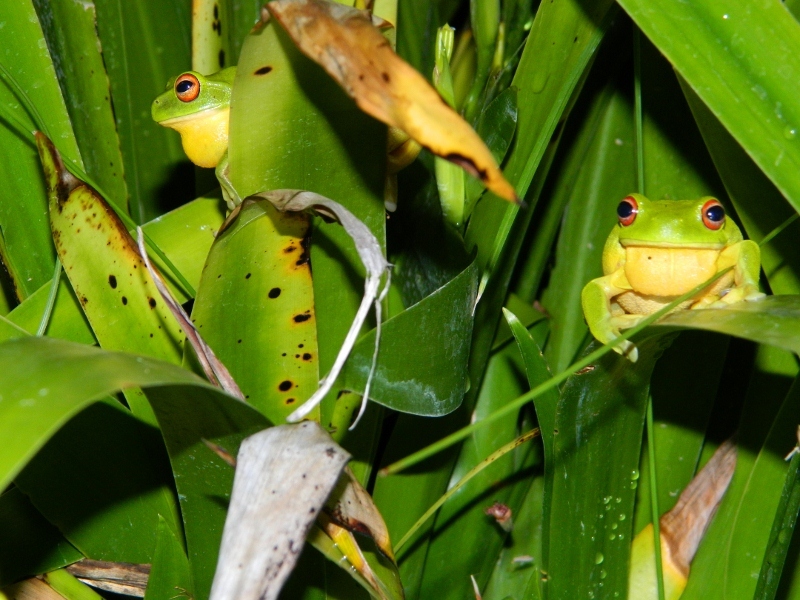 On the upside – two more frogs have arrived. 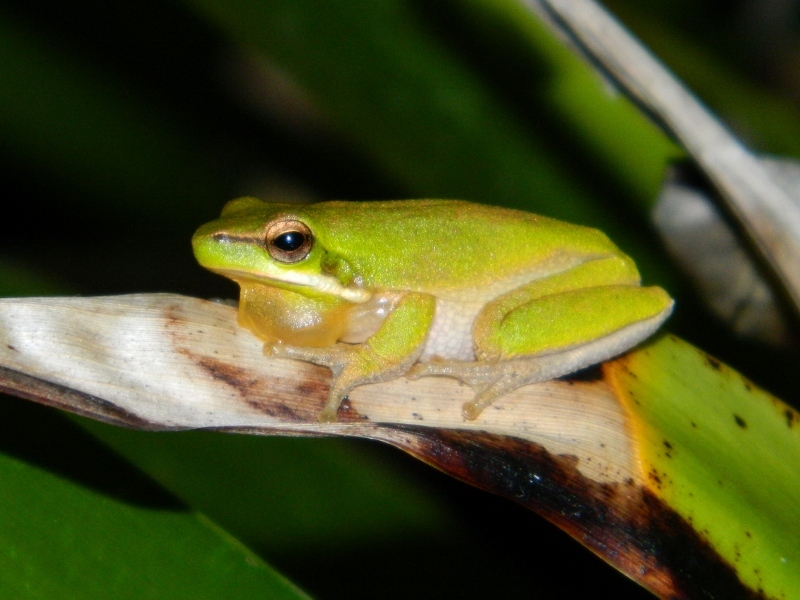 The Eastern Dwarf Tree frog is smaller than the first joint of your little finger but sounds like a large ratchet. 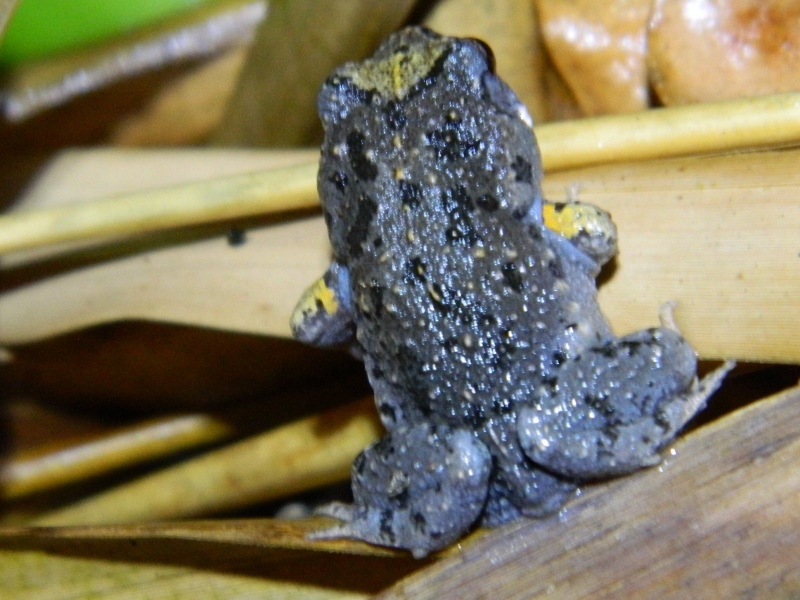 And the evasive little Smooth Toadlet, called smooth because it is less warty than other toadlets, it makes a squelching sound. 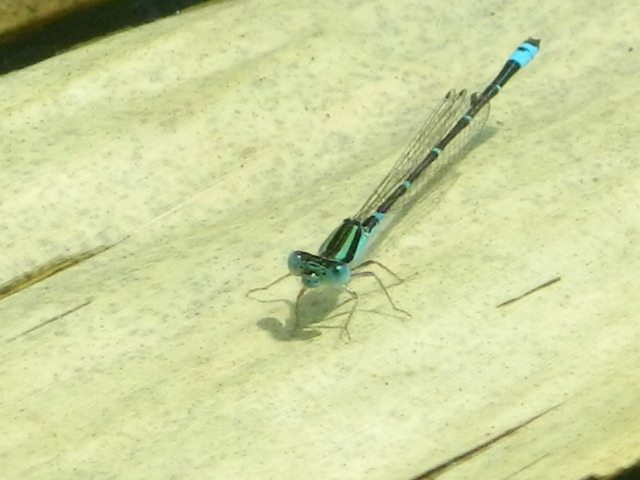 There have also been several blue tailed damsel flies swooping and landing on the pond edges. Next You won’t believe this … it’s another frog !